The Board of Education works with Pastor Caleb Kruse and prays for, plans, administers, and evaluates the congregation’s Christian education programs. 1. Organization: The Board of Christian Education shall consist of at least three communicant members elected by the Congregational Assembly to serve a two-year term. The newly elected Board shall select a chair person from its midst who will then represent the Board on the Board of Directors. a. Pray for the Lord’s guidance and blessing on the educational program and resources of the congregation. b. Establish objectives and policies for and supervise the entire educational program of the congregation. c. Encourage participation of every congregational member in personal and group Bible Study. d. Provide opportunities to strengthen the family as the basic unit of Christian education. e. Work with the various organizations, boards and other committees to coordinate educational activities within the congregation. f. Provide, in conjunction with the stewardship Committee and Evangelism Committee, ways to enhance the talents of members of the congregation. g. Evaluate the degree of participation of the congregation in the various educational programs provided. Establish and maintain a permanent file of all children and youth by age and grade level. h. Visit and personally observe the educational programs in action. Supervise the conduct of teachers in these programs. i. 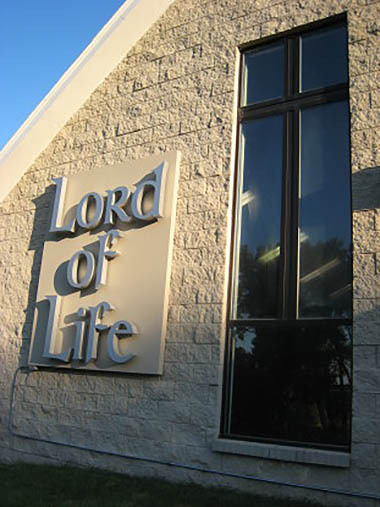 Establish, maintain, promote and supervise a library of Christian literature and audio-visual aids. j. Conduct a yearly evaluation of the congregation’s educational facilities and equipment and make recommendations to the chairman of Properties concerning the upkeep, repair and purchase of new equipment. k. Prepare and submit a proposed annual budget, as requested by the Board of Stewardship. a. Organize and operate a Sunday School, a Weekday School and a Vacation Bible School welcoming all children. b. Appoint Superintendents for these schools who shall be communicants of the congregation. c. Assist Superintendents in recruiting school teachers. d. Review and provide all instructional materials for the schools. e. Approve all organized activities proposed for the children. f. Encourage parents to facilitate their children’s participation in the programs provided. g. Assist the pastor in an organized confirmation class for the seventh and eighth grade school children for a comprehensive study leading to communicant membership. a. Recruit a Youth Leader who shall be a communicant member of the congregation. b. Review and provide all educational materials for the Youth. c. Develop a program of social fellowship for the Youth of the congregation and approve all activities and social functions proposed for the Youth. d. Be concerned about and develop strategies for assimilating new Youth into the Youth Program. e. Aid the Youth Leader in providing the Youth with continuing education in God’s Holy Word through the establishment and maintenance of Bible studies, conferences and retreats. f. Encourage the young people’s attendance at and involvement in all congregational Youth activities. g. Provide for recognition of various achievements and accomplishments of the Youth and Youth leaders in the congregation. h. Provide opportunities for the Youth to become involved as servants in both the spiritual and the secular life namely: church, civic activities, school, humanitarian undertakings, recreation and social groups. i. In conjunction with the Evangelism Committee, train and involve the young people of the congregation in bringing others to faith in Christ. j. Encourage the Youth to put their talents to use for Christ and His Church. a. Assist the pastor in developing and maintaining educational programs for the adults. b. Encourage every congregational member to increase his participation in the study of the Bible. c. Enlist volunteers to serve as lay teachers and study group leaders as the congregational needs require. d. Provide for the structure of home Bible study groups. e. Approve and provide all educational materials for church Bible classes and home Bible study groups.